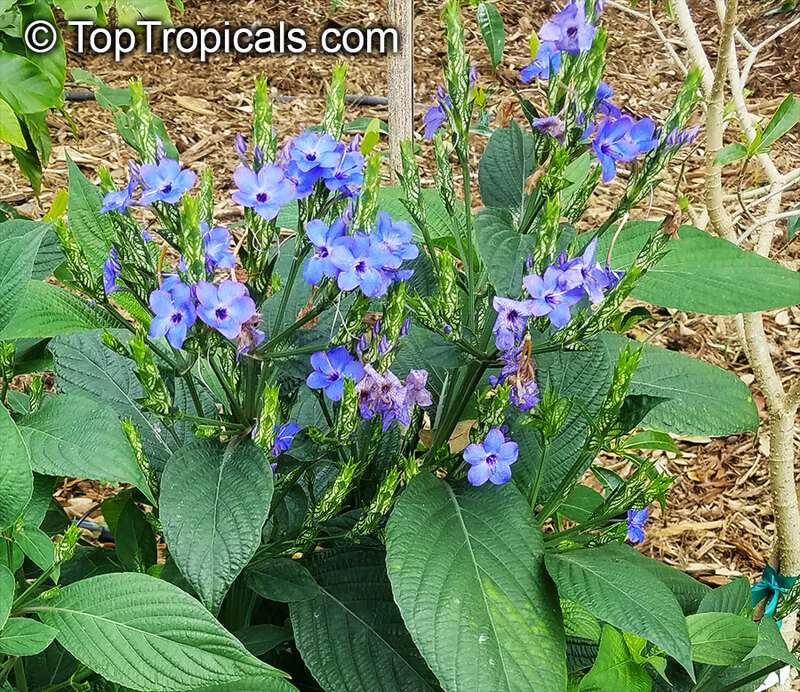 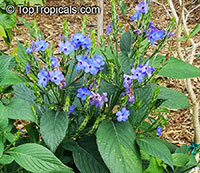 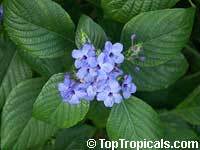 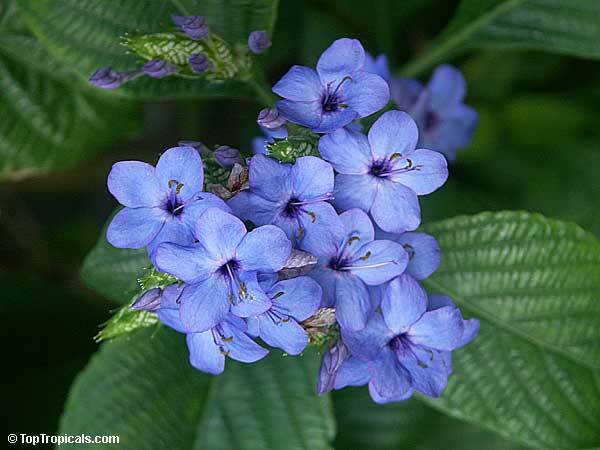 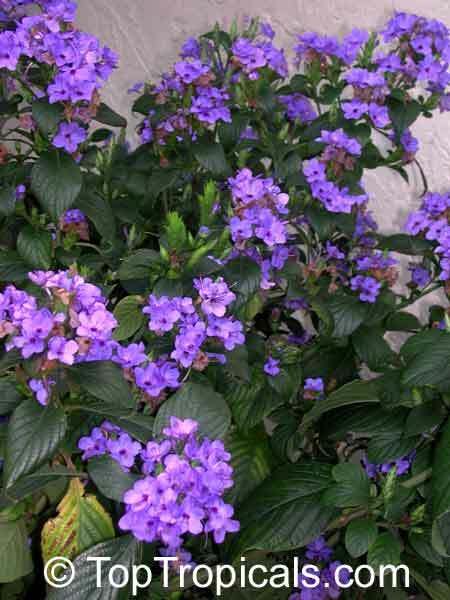 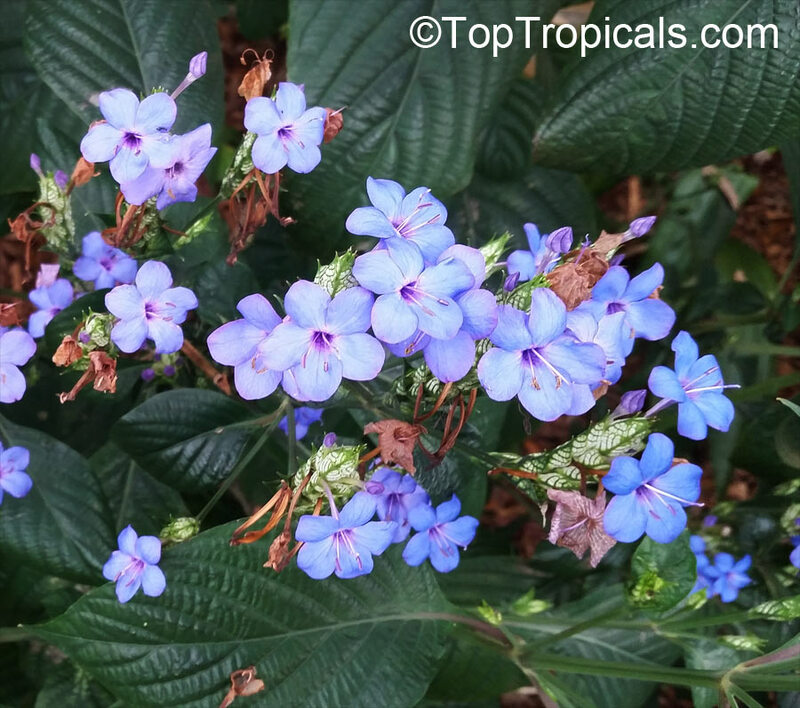 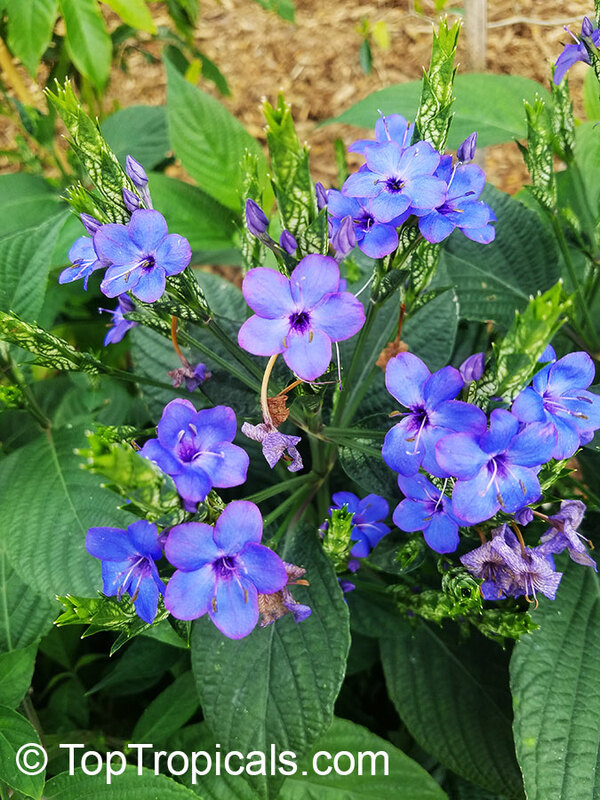 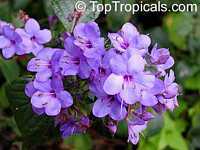 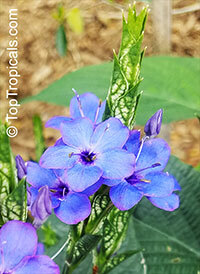 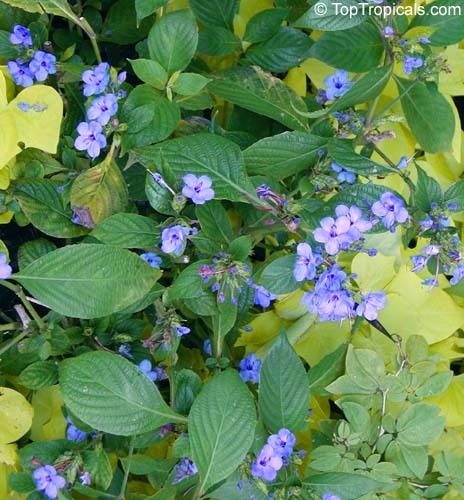 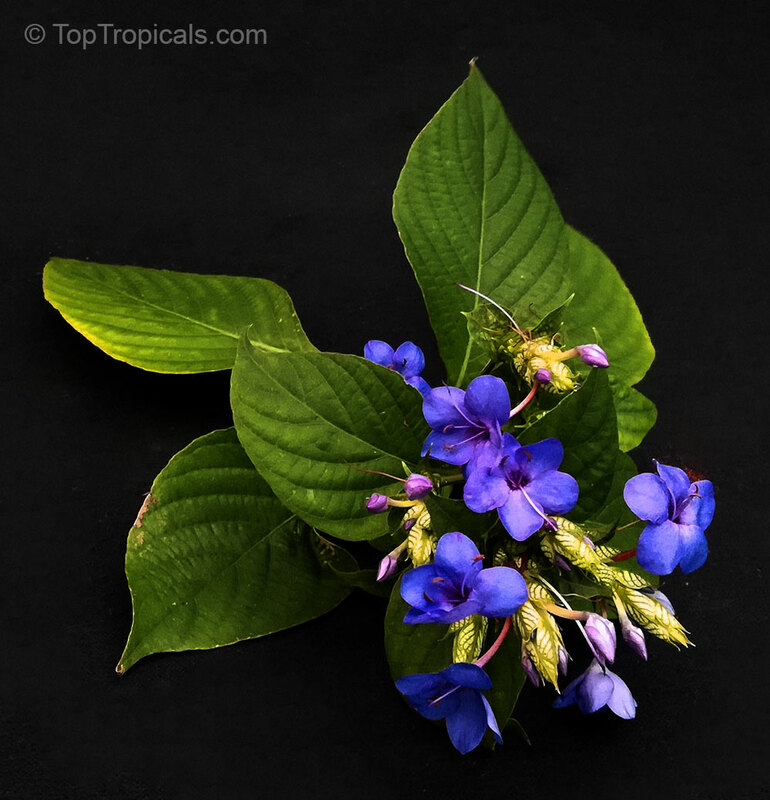 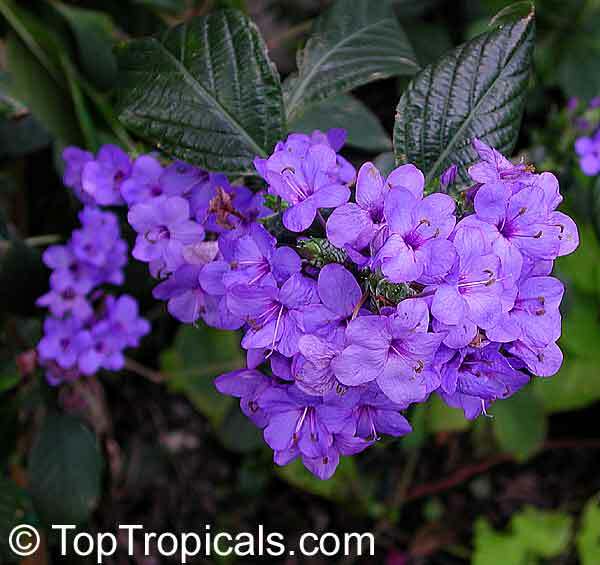 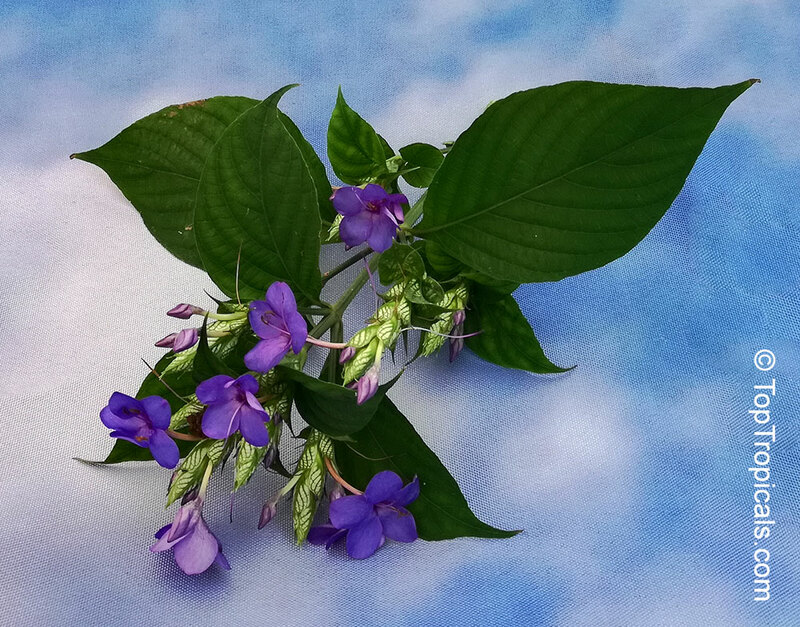 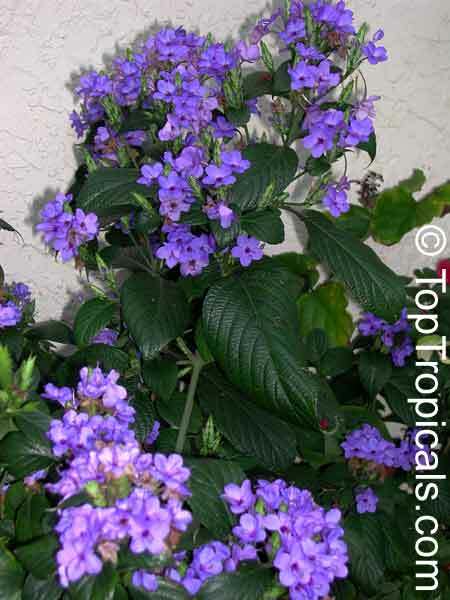 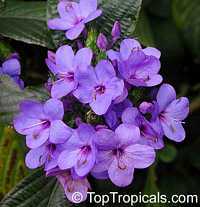 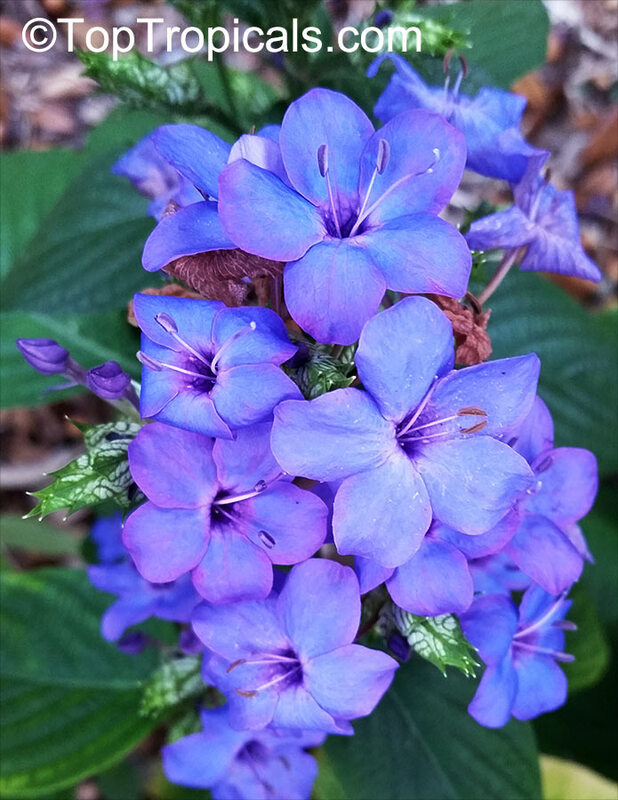 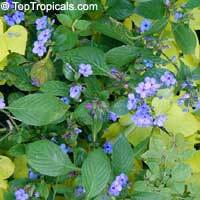 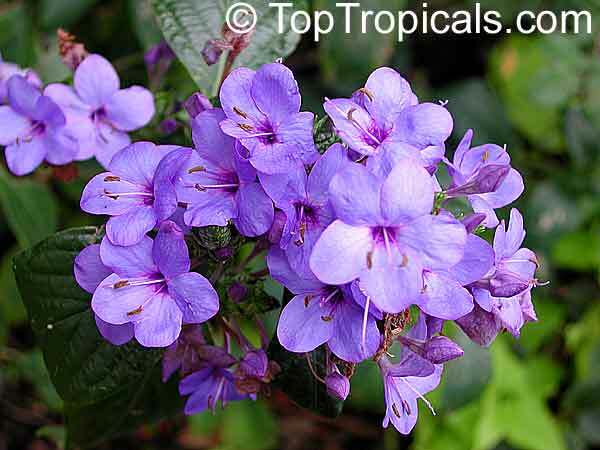 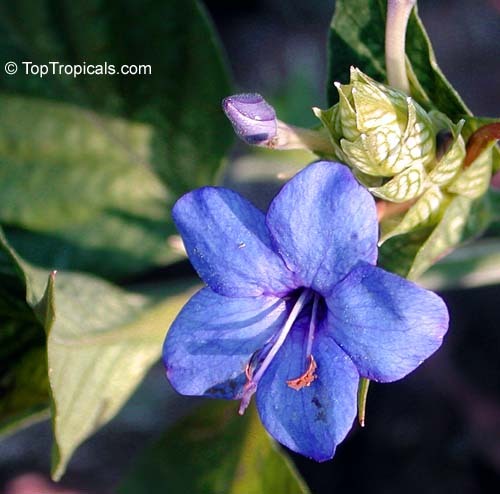 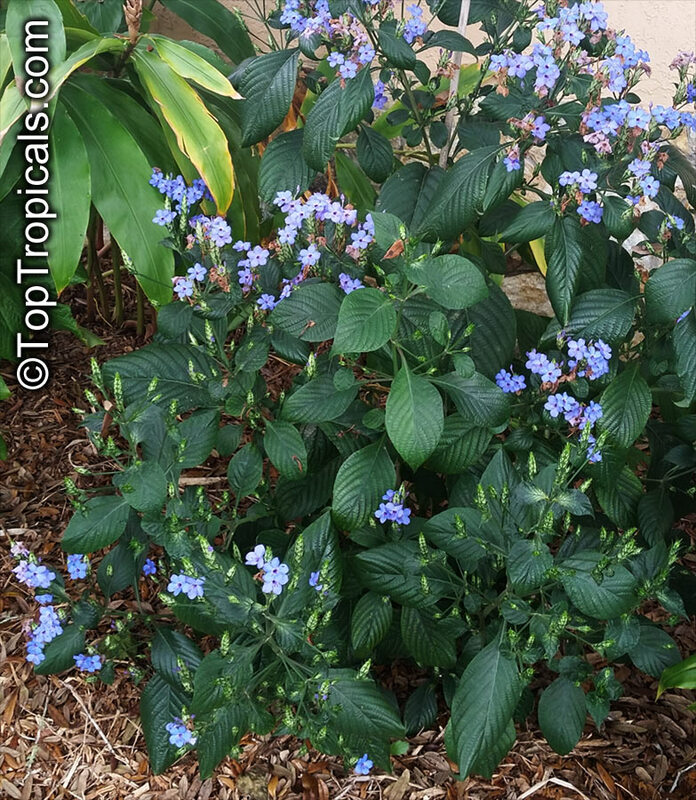 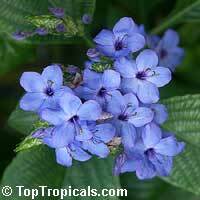 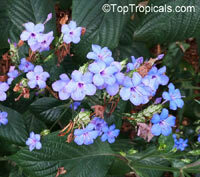 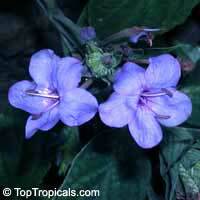 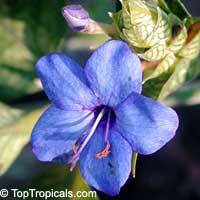 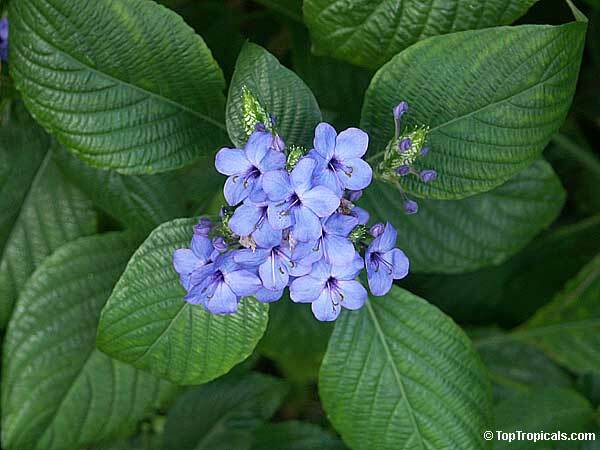 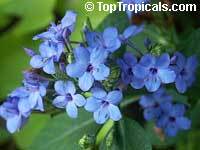 This is a strongly branched shrub, popular with gardeners because of the spikes of flowers that are bright gentian blue - an unusual color in the tropics. 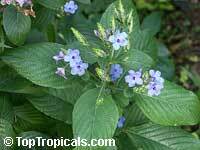 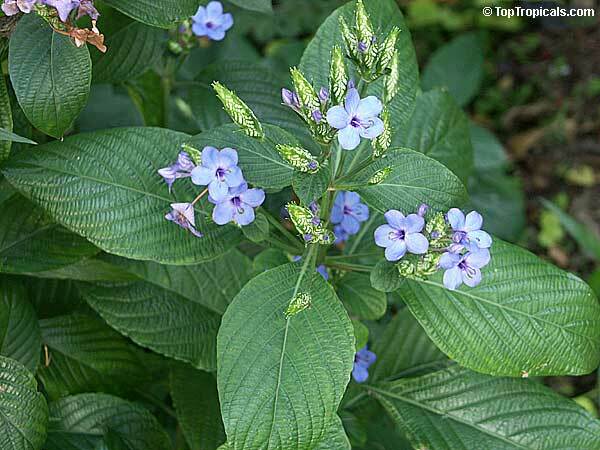 The flowers appear from green-and-white veined bracts that remain after the blooms fall, forming a column several inches long. 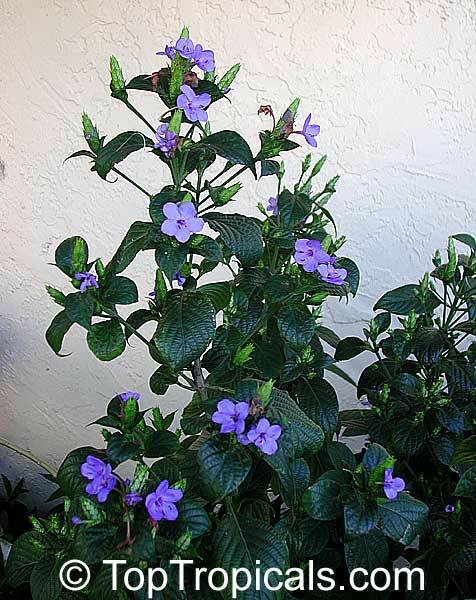 The hairy leaves are large and dark green. A sprawling shrub which may reach a metre or more in height, Eranthemum is usually kept lower and bushier through pruning. 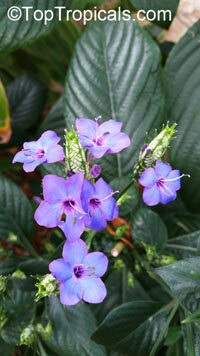 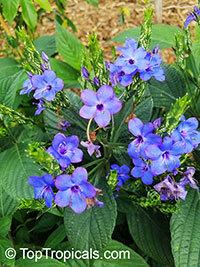 Light shade is preferred in a garden; in a greenhouse it needs warm conditions. 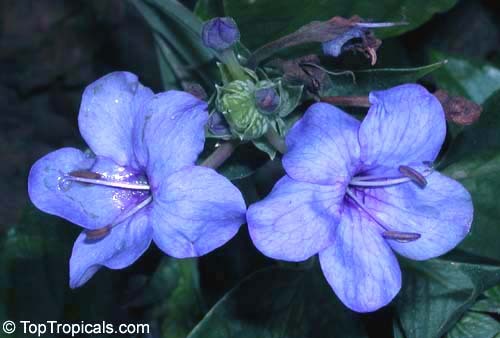 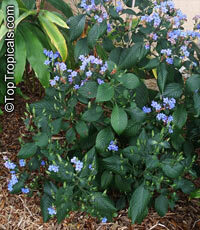 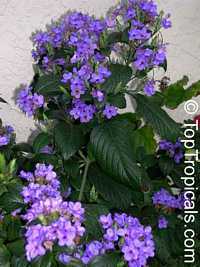 It is easily propagated from cuttings.